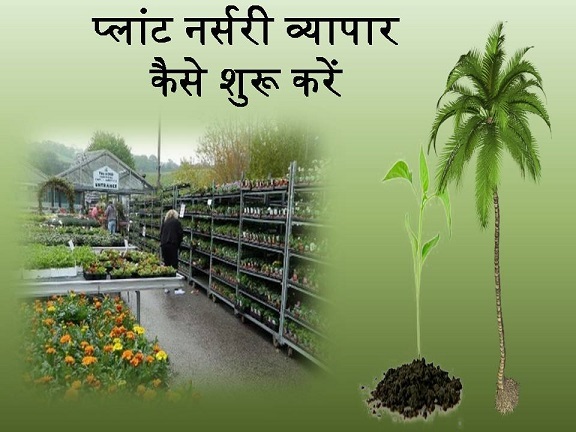 Plant Nursery Business is nothing but the nursery of plants which is grown by selling various kinds of plants. In the present world, people initiate with planting multiple plants in the courtyard of the offices. This makes the environment clean and pleasant. Plant nursery comprises a wide range of plants that are available in foreign local areas. Almost all the plants are grown well in the houses or offices. Some plants are tall, while on the other hand, other plants are large I the roof. In the present day, multiple small houses and offices are designed with indigenous foreign breeds which can be seen growing the grams too. Initiating plant nursery might be a challenging affair. But with some things kept in mind, you can proceed effectively. And there are multiple governments as well as non-government projects emerging that require a large number of plants. To know more about plant nursery, keep reading on. How do you define the Plant Nursery Business? Plant Nursery business literally means planting the plants at a particular site. Earning money is the most important thing out of plant nursery business. The plant nursery is part of agriculture whereby plants get promoted, nurtured, and are eventually grown. These plants are sold for home, commercial or garden use. From there, they are grown easily. Plants that are grown in plant nurseries are then sold to the retail nursery. This form of plants offers the convenience of purchasing multiple types of native foreign plants to the customers. This is exactly why a client of this business can be a farmer such as a house owner, gardeners, businessman, or an entrepreneur.Plant nursery comprises all kinds of plants available to grow easily. Cultivating multiple types of plants and earning is called Nursery Business. How to Initiate a Plant Nursery Business? In an agricultural country like India, starting a plant nursery business doesn’t require any rocket science. This is exactly why several entrepreneurs are initiating the plant nursery business. As a matter of fact, plant nursery can be started off from any corner of the country. But what is vital is to have land for starting the business. Even if you want to start a plant nursery business from the backyard of your house, you must establish a greenhouse in the first place. Plus, you must also have a clear idea about the plant species and how different plants grow in different climates. People who are occupied with this business in urban areas prefer cultivating floral plants, vegetable plants, ornamental plants and more. This is due to the fact that the demand for the aforementioned types of plants is quite high in urban areas. So, before starting such business, entrepreneurs must identify the demand for the area. Also, they must consider the pricing too. Suppose your land is occupied, then you can initiate the business at a lower price. Entrepreneurs can also take schemes from the agriculture department of the state. One must also be aware of the ones designed to encourage this type of business.The plant nursery business must be near a city or a town with an appropriate availability of the facility of transport. What are Things Required for Plant Nursery? The business needs the need for land. Other things required for plant nursery have been mentioned right below. Mixed Soil is required –Successful germination of plants and seed require preparing mixed soils. As a matter of fact, germination happens to be an essential process for the production of the plants whereby the seeds are fed through the nutrient in order to effectively proceed with germination. Hence, preparing mixed soil must be considered the first priority on the basis of seed. In order to prepare the mixed soil in a plant nursery, one must need proper quantities of black soil, sand, spongam moss, vermiculite, peat moss, filtered, kharo, compost manure, and so on. Soil happens to be essential in the plant nursery business and is available at an affordable price. Chemical and Fertilizer are required –Plant nursery business requires saving seeds as well as plants from various diseases and problems. As a matter of fact, the ones occupied with plant business might need a lot of chemicals, fungicides, pesticides, tropics, as well as manure. Protecting the plants from infection is a necessity. Therefore, entrepreneurs must make special arrangements for properly growing the plants. Also, there must be a proper and balanced use of the organic manure as well as the chemical fertilizers. Machinery and Equipment are required –Plant Nursery also needs the right kind of equipment as well as machinery. This will help in running the business successfully and at a lower speed in a shorter span of time.Because of the daily routine work of nurseries, it is required to effectively carry forward the methods such as filling the containers, filling the potes, transporting, watering the plants, and more. In addition to that, multiple automated devices are required besides vehicles. The requirement of the employees –The plant nursery method requires a lot of workers. This is due to the fact that the business needs multiple activities like sorting, weeding, bunting, irrigation, plantation, using pesticides effectively, and so on. Hence, a nursery always needs experienced labors; who are at the same time skilled enough to raise the business. What are the types of plant nursery? Gardening variety of flowers and plants through seeds in plant nursery needs a lot of time and effort. As a matter of fact, the plants can also grow at least maintenance, supervision, as well as price. Plant Nursery Business is done from anywhere. And it is profitable due to the fact that people always have a demand for plants for the purpose of public horticulture or gardening. A nursery is a business which is divided into three types. The three below-offered plant nurseries require selling the seeds to the customers without even selling the plants. This is known as the mail order nursery. To know about the types, you can read on. Stretch Plant Nursery – Stretch Plant Nursery happens to be a kind of nursery which sells plants to the individuals for their earnings. This type of plantnurserycomprises plants the ones which are kept inside houses or offices or in the outer locations. Such type of nursery is produced in symmetric acres. And this kind of nursery requires purchasing plants from larger nurseries and eventually sells them in the retails. Commercial Plant Nursery –Initiating commercial plant nursery business requires the entrepreneur to be acquired with a lot of investment. This is due to the fact that the large-scale plants are produced in this type of nursery. This nursery provides the commercial products to the farmers. Also, it allows the tree plantation in the specific government projects. Besides, the small nurse in selling the products at reasonable price rates. Landscape Plant Nursery – This kind of nurserycomes with a good experience of gardening. The Landscape Plant Nursery offers services to their customers that are related to the methods of gardening. Such type of nursery takes responsibility for the gardening house. In addition to that, they also produce the plants in their own plants concerning the requirement of the customers. What are the skills required to initiate a business of plant nursery? The skills have been mentioned right below. 1.Entrepreneurs must know about the plants beforehand. It is a very important thing when proceeding with proper development of the plant. Various plants require various irrigation, climates, rubbing, manure, as well as weeding. Therefore, if you are concerned about booming in this business, then you must take some training. Concurrently, you can get hold of any experienced gardener too. 3.As a matter of fact, the entrepreneur shall have the capabilities of buying different kinds of essential equipment for cultivating the plants, fore.g. irrigation, compost, temperature control, harvesting, and more. 4.One must be acquired with the important information about pesticide as well as plant diseases. One must also use the pesticides effectively. 5.In order to initiate the plant nursery business, one must consider the specific information on mixing the mechanical skill like plumbing, the irrigation method, greenhouse ventilation, and more. Starting the plant nursery business would require certain marketing as well as administrative skills. Besides, one needs to invest a lot of time in the land such that it becomes financially strong. What are the daily things to consider when initiating plant nursery business? The daily things to consider have been mentioned right below. To know more, keep reading on. When you are proceeding with harvesting, you must remove any plant seed right after it gets matured entirely. This is required to be done without harming the seeds. The seed sowing process or seedbed on germination must be done very early in the morning. This can alternatively be done in the evening, but that too early in the evening. As a matter of fact, the young plants must be planted in the polybags or containers. In addition, they must be marketed when they are fresh and fed. What becomes more important is the maintenance of adult plants for any seasonal publicity. When proceeding with the plant nursery business, it is essential to train the labors and get them experiences so as to prove them to be helpful in the development process. Using chemicals, fertilizers, insecticides, and water is required. These must be used from time to time in the reducing production costs. When it comes to the species of plants, you must ensure the sowing in the first place. Aside from that, you must also consider weeding, transplanting, irrigation, beforehand. One must always remember that a careful plant nursery business is carried forward effectively. It is not something that is opened in the morning and closed right after the sunset. 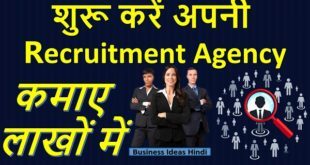 Earning a sure income from this particular business requires a lot of effort. In order to earn a handsome amount of money out of a plant nursery business, entrepreneurs require investing years in this field. This was the things that one must know before starting a plant nursery business. How to Start a Local TV Channel in India ?